Allergen Free Peanut Butter flavoured chew from Nylabone. 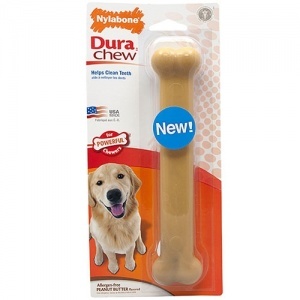 Delicious flavour that your dog will be unable to resist and will keep them entertained for hours. These chews provide dental benefits as they help to remove tartar and plaque equalling healthier teeth for your dog.